Wake up in the morning beautiful and ready to go. Gone are the days of spending hours in the morning fixing your Eyebrows, getting your eyeliner perfect, and your lips beautiful. 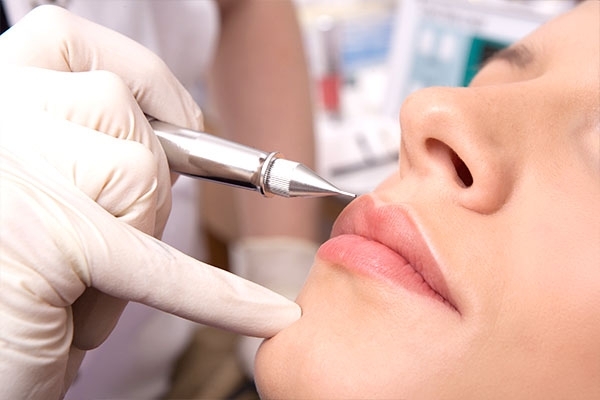 Semi permanent make up treatments are used to underline your natural beauty and can help to balance asymmetries and to give your face a long lasting, daily, radiant expression. LONG-TIME-LINER has been one of the most important pioneers in permanent make up over the last 30 years. Developed and manufactured in Germany, its one of the most precise micropigmentation device on the market. The magnetic motor ensures a very exact needle guidance – for a micropigmentation which is particularly gentle to the skin. Where other devices may need a bit more pressure, Conture®-Liner DUO allows you to gently glide over the skin. German Precision : Highest standards of quality, durability and perfection for any product and service. Please contact reception for a free consultation and prices. * Includes a first treatment and a follow up retouch treatment after 2 weeks to 2 months. Please book your free of charge consultation before booking your Semi-Permanent Make Up treatment.